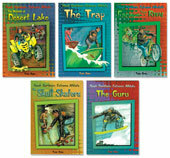 The Star Lab crew travels from planet to planet to find rocks, plants and other things that might be useful to people. Meet Harry, Tiger, Oscar, Pippa, and Bazalso known as the Third Street Pets. Their people dont know it, but these cats, dogs, and a parrot rule the neighborhood! 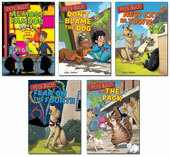 Join them in their funny adventures with a smelly skunk, a TV talk show host, a baby, rival pets, and scary fireworks. Meet Jo, Alex, and Jayden. Theyre 11 and 12 years old. No one knows theyre spies except Granny Pickle. 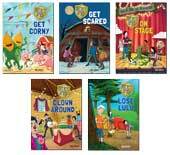 Join the Secret Spies and Lulu the pig as they solve cases at a haunted barn, a corn fair, a drama camp, a campground, and a clown wedding! 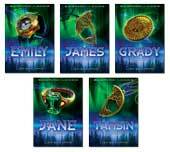 Jane, Grady, Tamsin, James, and Emily are witches. They meet at Coven House to practice magic, and to stay safe, and keep others safe from the Dark Ones. The Dark Ones are witches, too. They want power, and they will do anything to get it. 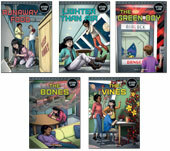 This high-interest nonfiction series includes reading experiences in five content areas: Life Science, Earth and Space Science, History/Social Studies, Technology, and Careers. Hawk tests sports equipment for ACME Extreme Sports. Occasionally he finds himself in the middle of events between ACME and its chief competitor, RIVAL Extreme Sports Corporation. 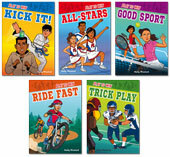 Combines lots of action with character sub-plots. 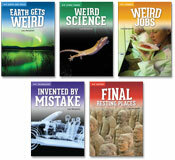 Readers are presented with basic science facts as they read this series about four school friends who create video reports for a class assignment. In this revised and updated series, Scoop Doogan, star reporter for the Big Bend Times is back, with a new look and updated storylines. 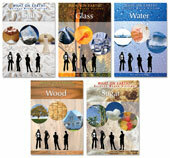 Exciting fiction skillfully combined with colorful and accurate historical and geographical events and settings. 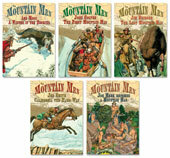 These true stories give a realistic look at the men who pioneered the American west. They endured harsh elements, danger from wild animals, and an uncertain outcome in their quest for new horizons. This series continues where the Carter Chronicles end. 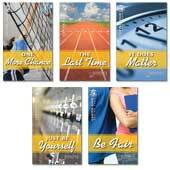 Meet new characters at Carter High. 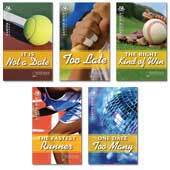 Topics are as appealing as ever and pertinent to young adult readers: romance, friendship, sports, exams, work, family. 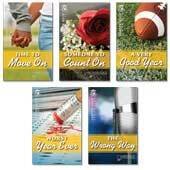 Each book features a character embroiled in a typical high school dilemma. 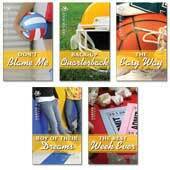 Topics are involving and pertinent to young adult readers: romance, sports, friendship, exams, work, family.